Marathon training takes up quite a bit of time. When I'm not working or taking care of the kids, I'm usually running, sleeping, or eating. This doesn't leave a whole lot of time to do other things - like biking or cross training dvds. I've had a few opportunities to try out my newest Xtrain Cardio Leg Blast, but never the entire dvd at one time. Today, I had an entire hour to do the entire dvd and I am sore. I great sore for sure. I thought the Cardio Leg Blast was perfect for me, to build more strength in my legs to make me a stronger, hopefully faster runner. I'm thinking if I stick to this dvd, I will definitely, without a doubt, be a stronger, faster runner. 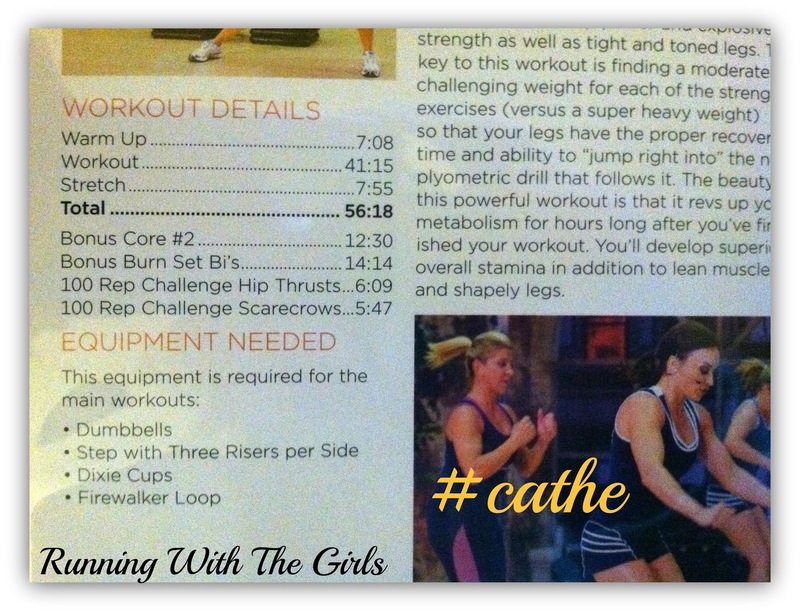 Cathe's dvd is an upbeat, challenging workout that left me feeling even stronger. I will note that I didn't have all of the equipment that was listed as needed - so I just improvised. Instead of the risers, I pulled out a low bench that we have. It wasn't perfect, but worked well enough. And I didn't have the Firewalker Loop - which looked like a big elastic band to put around your ankles. I just went through the motions without the loop. Maybe I'll get one in the future, but for now, I'm good. - the bonus workout at the end are so intense! The 12:30 core workout is so intense, I've only made it to 8 minutes. My goal is to get through the entire 12:30. - equipment that was needed are not always things that people have at home - like the Firewalker Loop and Step with 3 Risers. Cathe has several lines of dvd's you should check out. The next one I want to try is her Stretch/Yoga dvd. Check out the selection here. 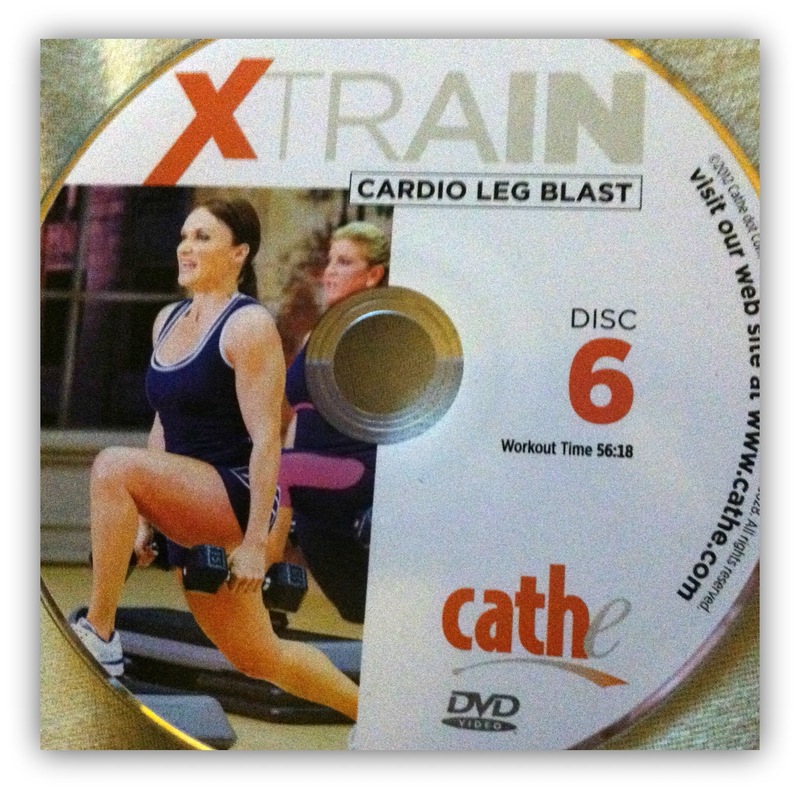 Disclaimer: I was provided this DVD to review through FitFluential. All opinions expressed in my blog are 100% my own. sounds like an awesome dvd. I love workout dvds. I'm an at home worker-outer so a good solid strength DVD is a must. You breasts look super muscular....I know I'm a perv, but just know I'm envious. I think you already know I adore Cathe and am loving this series. Do you have a resistance band at all? I just tie mine around my leg. And if you don't have the glider things for the other workouts - paper plates! Sounds like an amazing sweat-fest! That sounds awesome!! I need to start getting my weight training on!! I've heard such great things about this workout! 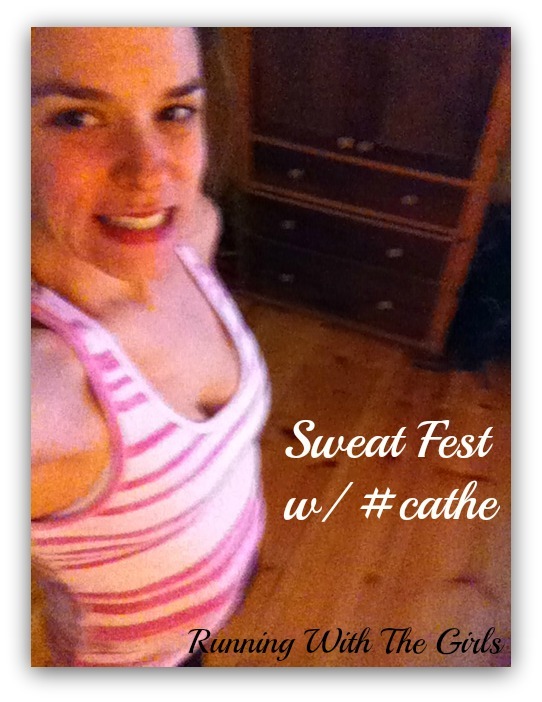 Don't you love a good sweatfest? I agree great DVDs but if you don't have the equipment (mine needed stuff that we didn't have) you don't get the full benefit.